“The best part,” I said, “about doing a race on Super Bowl Sunday is that you can go to a Super Bowl party in the afternoon and not feel bad about eating junk food.” But I had some other motives, though: 1) To continue to test using efficient running technique, 2) to continue to learn how to push, pace, and race, and 3) to average under 7-minute-mile pace. 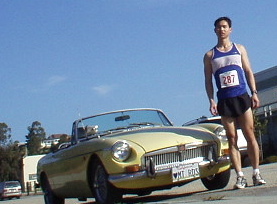 The result: time splits of 6:39, 7:12, 7:16, 7:25, 7:25, 7:18, and 1:24 (7:00 pace for the last .2 mile). 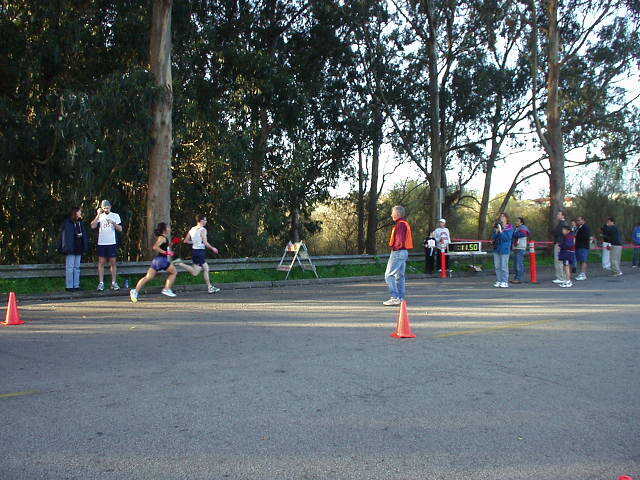 Overall pace was 7:12. A little slower than last week’s 6.5 mile Windmill Run and I felt more tired, but nevertheless a PR for a 10k. It was somewhat discouraging that I could not do more than one whole mile under 7-minute pace! This time I tried to focus on achieving as quick of a cadence (usually between 3-4 steps/minute) as I could, even if it meant having shorter strides. I think it backfired though as my strides were perhaps too short this time. My leg turnover rate seemed to be faster than everyone else’s and yet there were many of them I could not keep up with. 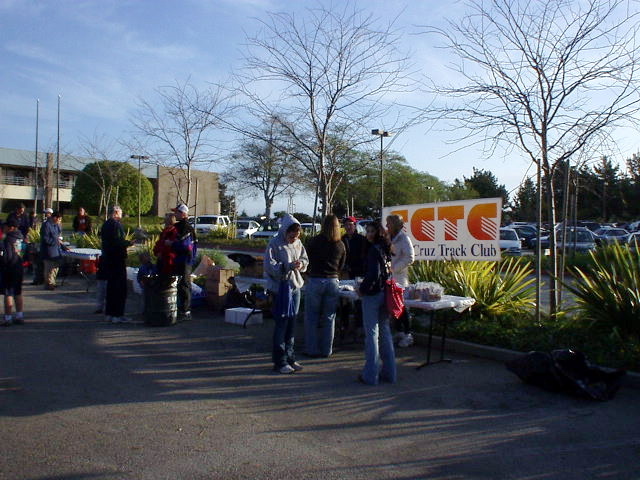 The weather was near ideal for running (sunny but temps in the high 40s), and the course very nice since it went right along the Pacific Ocean. 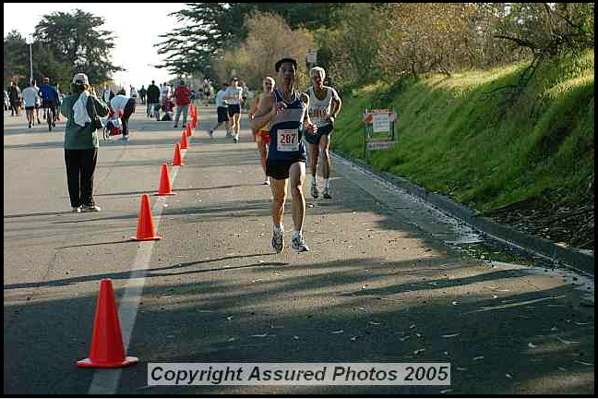 I think the course was very similar to the run course of the Santa Cruz Sentinel Triathlon. Not quite as flat as I thought, but not hilly enough to be even called rolling. Felix, do you have some suggestions on efficient running techniques? 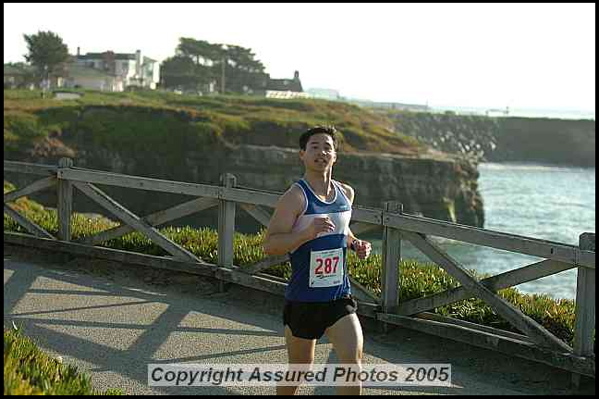 I have been trying to streamline my running form, your help would be greatly appreciated. Hi Ken. Yes, I highly recommend Gordon Pirie’s free online e-book. It is practically my running bible. You can do a search for it and it is available in PDF form. Happy running!